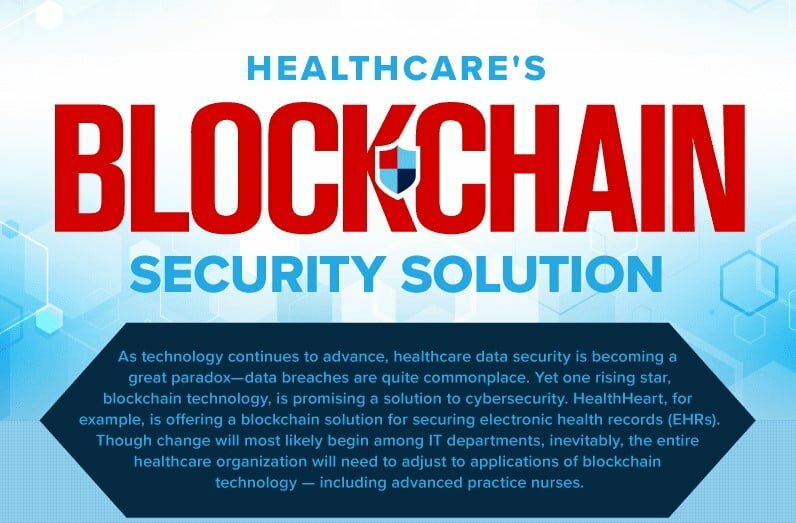 What is Blockchain and what does it have to do with secure health data? Blockchain was initially developed as a fiat currency’s digital alternative, but its features soon found practical use in other industries as well. Blockchain technology is an open, distributed ledger that can record transactions permanently, efficiently, and in a verifiable manner. Blockchain platforms have the ability to support the entire lifecycle of a patient’s electronic medical record. The tech uses “smart contracts” that are stored in transparent shared databases. These contracts are embedded in digital code that can’t be changed, tampered with, or deleted. Blockchain technology has the potential to provide a brand new model for health data exchanges by making electronic medical records more efficient and cryptographically secure. It allows patients’ records to be accessed by healthcare providers at any time they are required, essentially giving patients and providers immediate access to all their healthcare information across all the providers they have ever seen. With blockchain technology, transactions between individuals, organizations, machines, and algorithms would be frictionless, quicker, and less expensive. Blockchain technology incorporates into a single, easily accessible database where doctors can find all patients’ diagnoses, medical histories, information about which doctors conducted each treatment, the medication and dosage they prescribed regardless of the type of electronic medical systems they used. This maximizes the results from the effort that doctors put into doing administrative work, and most of it can be replaced with productive doctor-patient relationship and care. Shockingly, one in four data breaches occur in the health data industry. These breaches have been predicted to affect one in thirteen patients between 2015 and 2019. According to a global study conducted by IBM and Ponemon Institute, in 2017 the cost of a data breach that occured in a major company averaged $3.62 million. The healthcare industry suffers the highest toll in terms of the cost of breaches, being about $380 per single compromised patient record, which is 2.5 times the global average when compared to other industries. Every doctor, medical office, hospital, pharmacy, therapist and insurance company needs different pieces of data to properly care for patients. These records are scattered across computers – and even filing cabinets. They’re not all kept up to date with current information as a person’s prescriptions change or new X-rays are taken, and they’re not easily shared from one provider to another. In many cases, medical offices use more than two dozen systems for keeping electronic health data records, none of which can directly communicate with any of the others. All of these systems present opportunities for hackers to steal, delete or modify records either individually in massive amounts. In an emergency, doctors may not be able to get crucial medical information because it’s stored somewhere else. That can result in direct harm to patients. Blockchain can also help other areas of the health data industry. The Centers for Disease Control and Prevention are developing blockchain-based systems to share data on threatening pathogens, analyze outbreaks, and manage the response to public health crises. Some commentators have even suggested that a blockchain system might help track opioid use and abuse. Clinical trials, too, may benefit from blockchain. Today, patchy data and inefficient communication among all players involved in clinical trials pose serious problems. The drug discovery and development processes could see similar benefits. Pharmaceutical companies currently monitor drug shipments and delivery through an inefficient web of scattered databases. In 2017, Pfizer and other drugmakers announced their support for MediLedger, seeking to transfer those tasks to a blockchain – which Walmart is already doing to track its food shipments.